Home Products Kettle Cordless Stainless Steel Brushed 0.8l 1500W "Siena"
Kettle Cordless Stainless Steel Brushed 0.8l 1500W "Siena"
Compact, sleek and powerful is what you get with the Sienna Stainless Steel Mini Kettle. 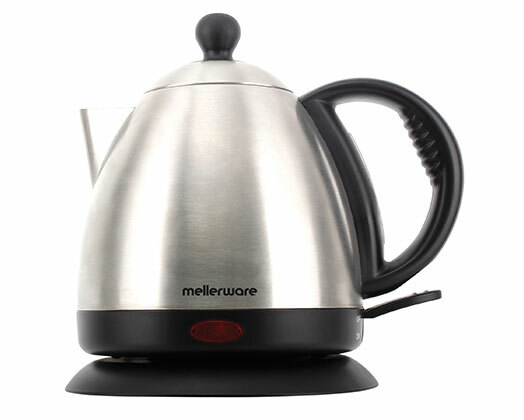 The Sienna Stainless Steel Mini Kettle is perfect for your caravan or hotel room. It has 0.8L capacity and automatic switch-off. Extended usage with its concealed element and boil dry safety switch will give you more usage with your Sienna Stainless Steel Mini Kettle.